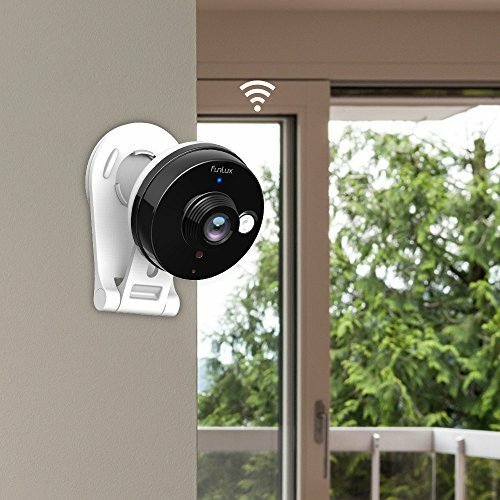 Selecting the best wireless security camera for the home or business can be stressful, especially with so many choices available. The differing features of security cameras often come with their own particular advantages; determining which features are most important to the situation is a good start. The best option tends to vary with the circumstance. So, in no particular order, here are ten of the best-selling and most highly rated wireless security cameras. 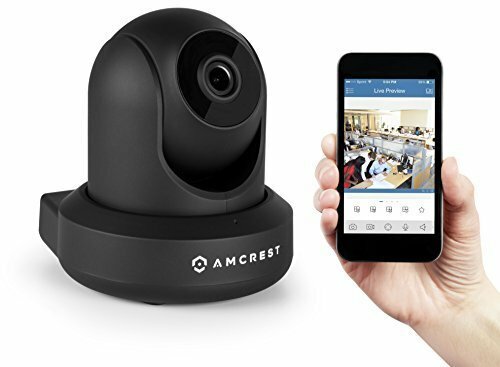 The Amcrest ProHD 1080P WiFi Wireless Security Camera is easy to set up using the included Amcrest View App on iPhone or Android. Video can be recorded and played back with a local microSD as well as streamed directly to a Windows PC, Mac, or mobile device. Other options include Amcrest’s Cloud Video Recording Service, FTP Upload, Blue Iris, or ONVIF NVF. Remote pan-and-tilt, digital zoom, and two-way talk allow one interact and a wide 90° viewing angle and infrared LED night vision up to 32 feet yield an excellent field of view. 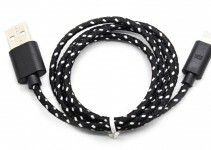 The camera is CE and FCC certified with UL compliant 10ft power supply. 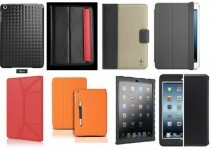 Amcrest also provides lifetime customer support and a one year US warranty. The Wireless Waterproof Security Camera from SkyGenius is ideal for the outdoors, possessing a rugged construction that is designed to be resistant to vandalism and withstand harsh weather. Motion detection capable video is clear and smooth; a high performance single SOC processor, H.264 encoding, and IR-CUT Night Vision function renders 1.0 megapixel quality regardless of lighting conditions. Remote monitoring is easy with built-in web server and is compatible with Windows, iOS, and Android. 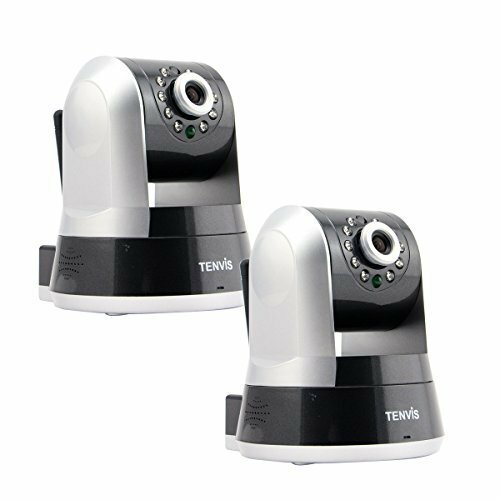 The TENVIS TZ100 HD Wireless IP/Network Security Camera is designed to be user-friendly. Setup is simple and requires only a smartphone; no computer or port forwarding is required. The camera runs on WiFi network and the TENVIS app for iPhone or Android will allow monitoring in real time from anywhere with cellphone reception. HD 1280×720 video and screenshots may be taken from phone and two-way talk as well as pan-and-tilt are also supported. The infrared camera’s motion sensor can be set to send alerts at any time of the day or night and a vertical angle of 90° and horizontal of 340° provide ample visual coverage for scanning the area. 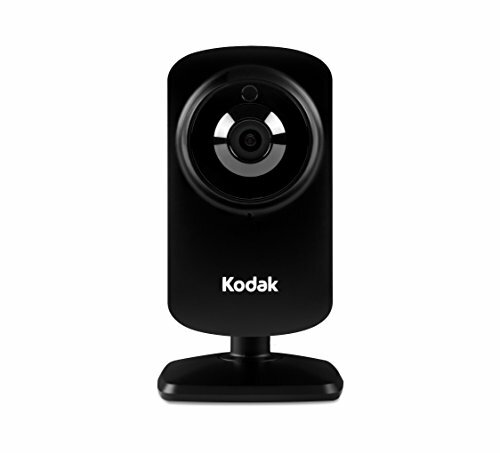 Kodak’s CFH-V10 HD WiFi Video Monitoring Security Camera comes with Lifetime 1-day Cloud Storage, allowing video from the past 24 hours to be reviewed at the user’s convenience. Premium plans which include Smart Detection to minimize false alarms as well as 14-Day or 30-Day Cloud Storage plans for extended security. The night vision camera is motion sensitive and can immediately alert any mobile device. A speaker microphone allows for two-way audio or just listening. The CFH-V10 also has a WiFi extender and antenna built into it for a greater range of coverage. 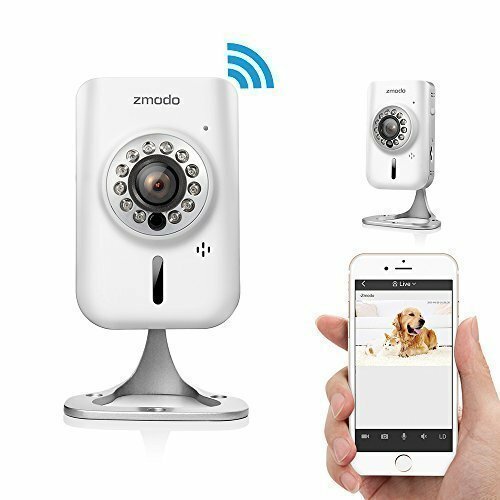 Zmodo’s Mini WiFi 720p HD Wireless Indoor Video Security Camera has a convenient design that is easy to place or mount anywhere in the home or office. With Smartlink the setup is fast and simple. Once powered and running, all that is required is to enter the password for the local WiFi and the camera will complete the connection to the network. Then access remotely by browser on user.meshare.com or through the mobile meShare app for iOS and Android. Push notifications may also be configured to receive alerts when motion is detected or the user can schedule them for a particular time. The 3-year warranty from Zmodo also provides an additional peace of mind for more cautious shoppers. 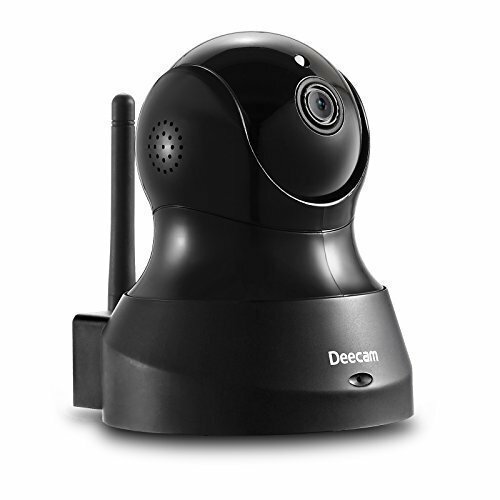 The Deecam D200 Wireless Surveillance Camera features an intuitive plug-and-play setup allows for a quick and easy installation. It will quickly connect with any Windows PC and mobile devices running iOS or Android, through the downloadable Life Online app. This enables remote monitoring, two-way conversations, and control of pan and tilt with respective 340° horizontal and 90° viewing range. Infrared LED lights allow surveillance in complete darkness at a distance as much as 26 feet, providing clear 1280×720 HD resolution. Additionally, the D200 can record and store up to 32GB of video locally on a Micro SD card. 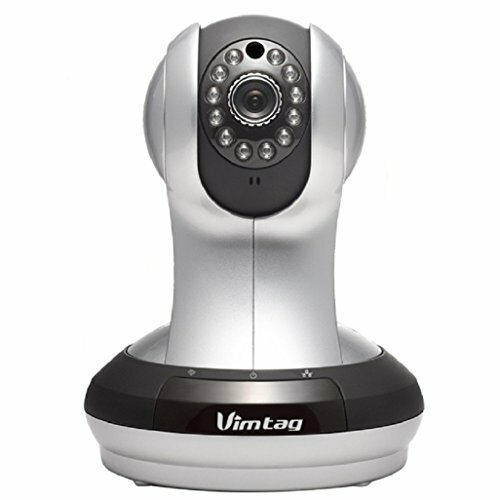 Vimtag (formerly Fujikam) offers the top selling 361 HD Wireless Video Security Camera. It has a high quality 3.6mm lens, a large 320° by 120° field of view, 3x digital zoom, and 12 infrared LEDs for night vision up to 30 feet. Internal SD slot allows video recording and playback; 32GB cards are recommended. QR Code Scan sets everything up in four easy steps and the installs in minutes with a PC or smartphone. 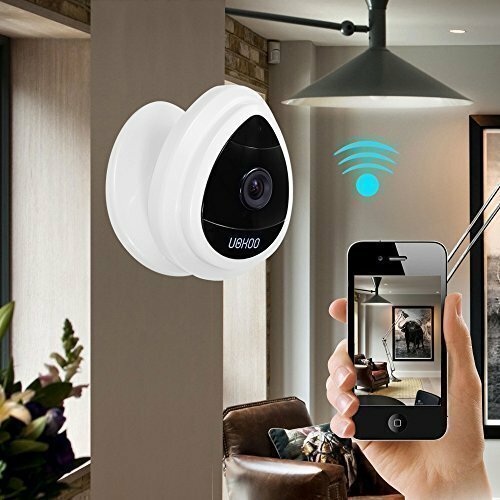 After the connection is established the computer or mobile device can remotely monitor and control the camera, receive Motion Detection Snap Shot alerts, and communicate with two-way talk. 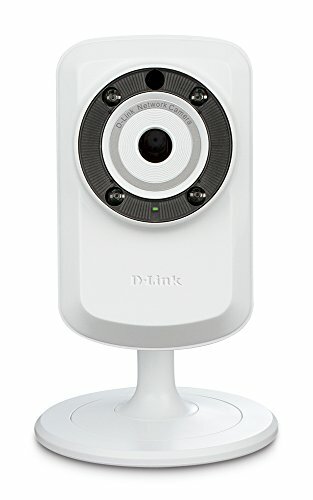 The D-Link DCS-932L Day & Night WiFi Camera excels for its simplicity and ease of use. It automatically detects and securely syncs with wireless router so no configuration is required. A compact design makes for easy placement anywhere within the router’s range. Infrared LEDs provide a viewing distance of up to 15 feet in total darkness and motion sensors can send alerts by email when triggered. 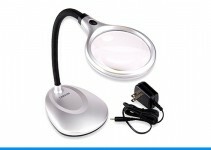 Remotely monitor by PC through mydlink.com or with the downloadable mydlink app for iOS and Android devices. The Portable Mini IP Camera by UOKOO is small but powerful, supplying Full HD 1280×720 video and images with H.264 compression. The swiveling mount positions easily on wall or flat surfaces and WiFi setup is simple using the iSmartViewPro app for iOS and Android. A quick one key configuration through sound completes the installation. The camera may then be monitored through computer or mobile device and ONVIF is also supported, as well as motion detection alerts and automatic snapshots. Funlux’s Mini Wifi Megapixel HD Wireless IP Surveillance Camera is a best selling bullet security camera with a wide 115° field of view for better monitoring of the home or office. HD quality video streams directly to any iOS or Android smartphone and the free meShare app will set up remote access in seconds. The camera is equipped with infrared for nighttime viewing and alerts are sent by push notification if the motion sensor activates. Two-way audio allows convenient communication with monitored area. Funlux also provides lifetime technical support and a two-year warranty, as well as the option to return within 60 days if not satisfied. 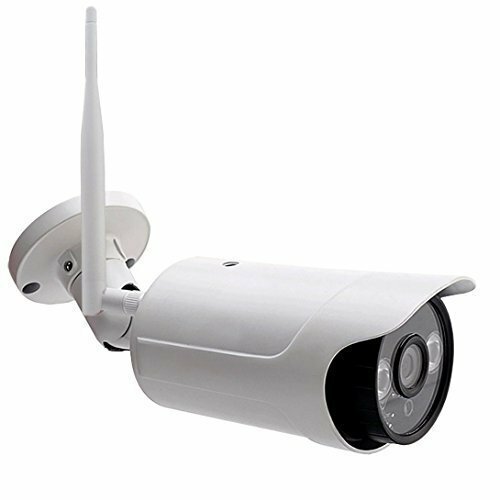 This hopefully will assist in identifying the most helpful features and functions when selecting the proper wireless security camera for one’s needs.